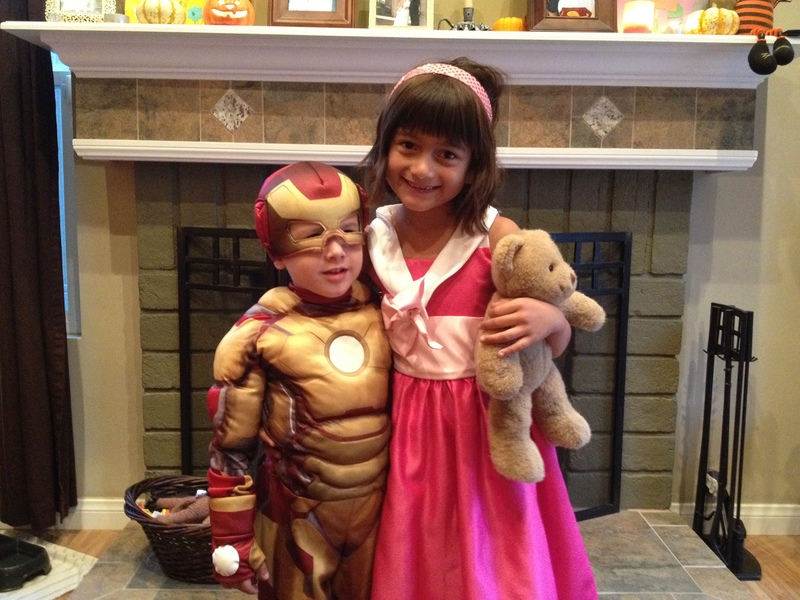 We had friends over for dinner and trick-or-treating. Sienna was Cinderella and wore a beautiful dress that her Gaga made her. She had a few momentary internal struggles with her desire to be Elsa. Seeing all the Elsa’s running around was an odd type of peer pressure. We told her that it was so much cooler to be unique. Her dress was gorgeous and she had fun. Our church’s annual Oktoberfest was on Saturday, November 1st. I helped plan the kids activities, which was fun! Gaga and I also took a turn serving food. If you’re not aware, Martin Luther was German, so Oktoberfest is huge with Lutherans. We had all the traditional food – bratwurst, sauerkraut, German potato salad, pretzels, and lots of beer. 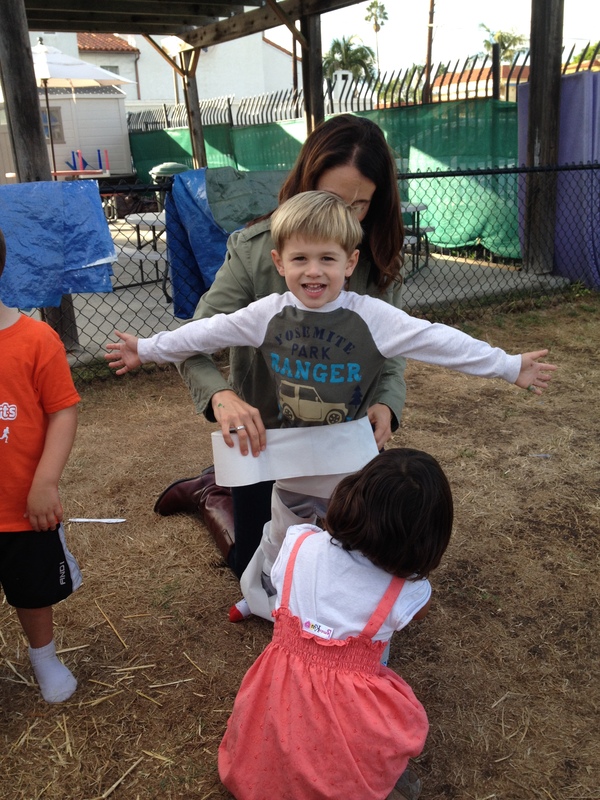 One of our kids’ activities was a mummy wrap. It was a fun and unlikely hit! 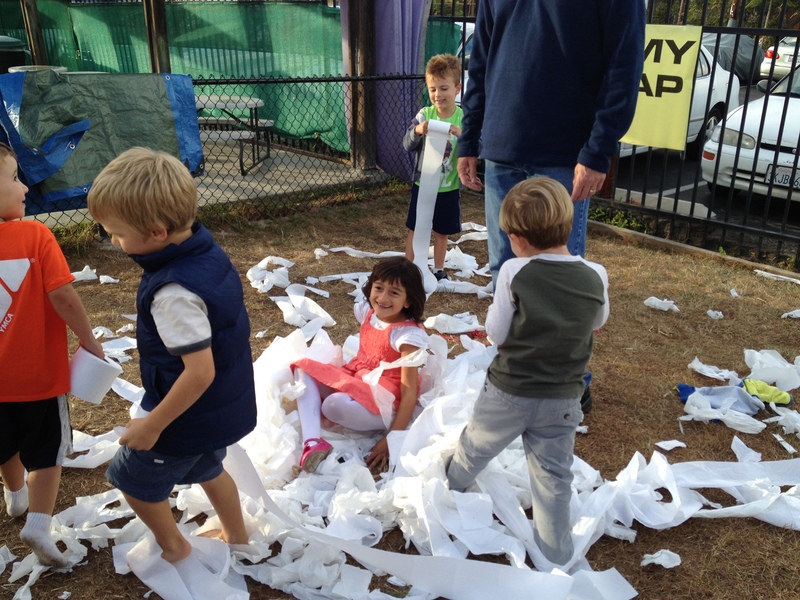 The kids got a kick out of wrapping people in toilet paper and then had even more fun tearing it up and throwing it everywhere. It was chaos! The highlight of the weekend, for me, was watching Sienna’s First Holy Communion. 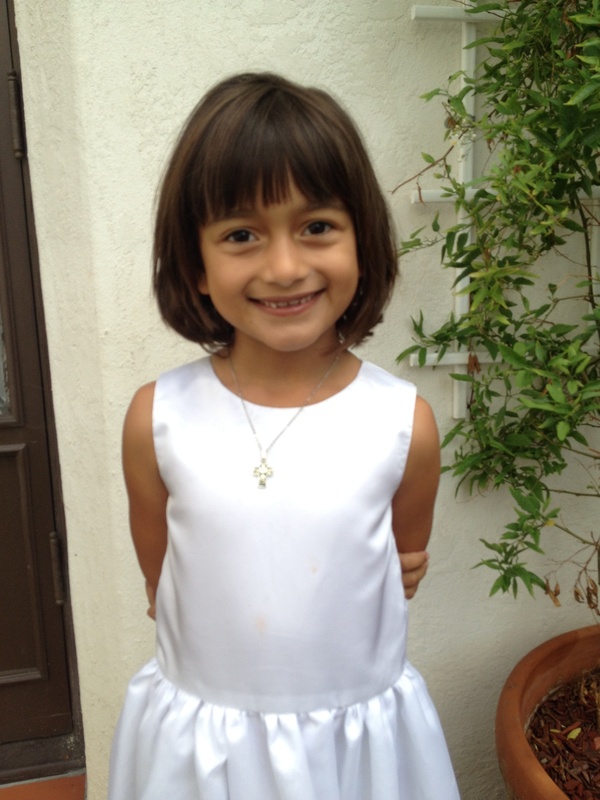 After eight weeks of catechesis, weekly studying at home, weekly Bible memory verses, and her first private Confession and Absolution, Sienna was ready to partake in Holy Communion for the very first time. She came to understand the importance of Christ’s presence in the eucharist and appreciate the great gift he has given us in his Holy body and blood. She wore a beautiful white dress that Gaga made just for the occasion. As many folks congratulated her and gave her sweet gifts after the service, you could see her recognizing the milestone she’d just experienced. As a mom, knowing I’m giving my children the opportunity to know Christ, through his sacraments, brings me such peace and joy! As the recital neared, she got more comfortable, especially when she learned that the “recital” was in the same studio where they practiced. 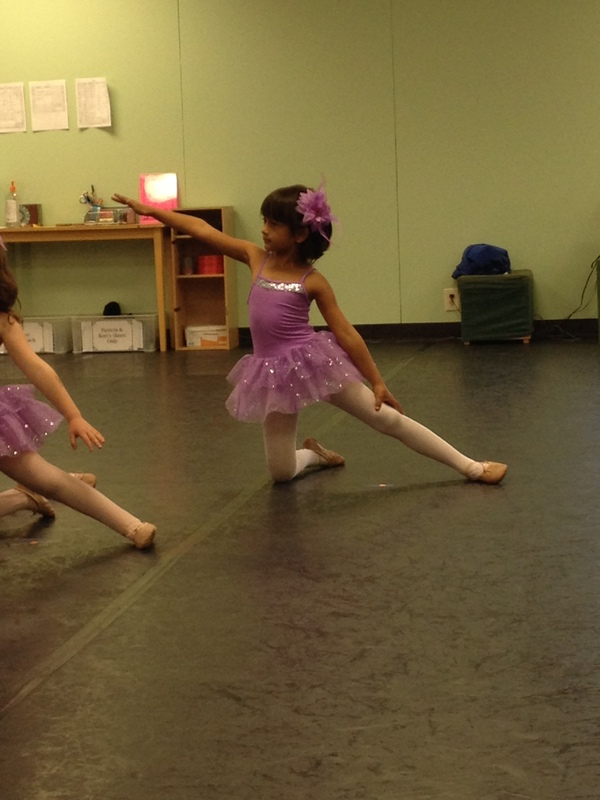 In the end, she participated and did wonderfully in the recital! She was very proud of herself for conquering the fear! This busy week was fun and memorable. However, during the few workdays prior to Halloween, I felt stressed. There was so much to do! Between food for our Halloween party, activities for Oktoberfest, getting Sienna to her final class and practice for First Holy Communion, and remembering all the little things that had to get done, life felt very hectic. I used to thrive on this type of planning and activity. But, now that I’m connecting to the moment and focusing on quality time with my family and friends, instead of rushing and planning, this type of schedule felt stressful. It was cool that I could feel this difference and appreciate that I don’t want to crave my life with activity anymore. Sometimes these busy weeks will happen and being organized helps keep the stress level down. All in all, once the fun activities started, I was able to enjoy and be present. Mother / Daughter Road Trip!